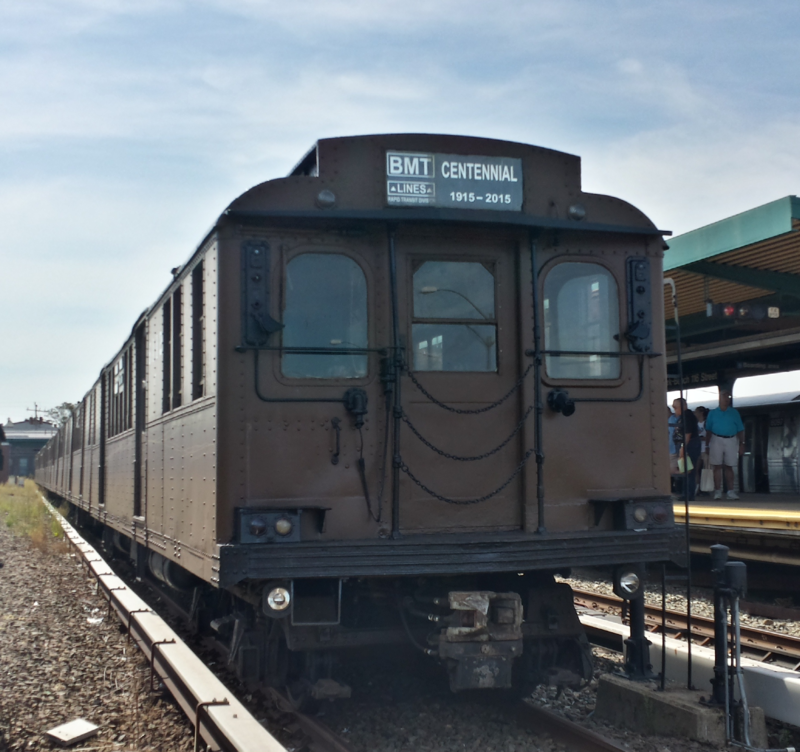 The 6 Line Beta (V1.0) to Brooklyn Bridge has been released! Re: The 6 Line Beta (V1.0) to Brooklyn Bridge has been released! The way BVE works is that its a linear coded. This means everything you see in the game is on a forward facing line. It is possible to "flip" everything, but this too requires work and is not as easy as it sounds to do. The way openBVE works requires two stations in order to simulate the loop. Here's the image of the two station setups. The southbound BB platform is on the bottom, while the northbound BB platform is on top. So the way the code works, you couldn't have the train loop back to Brooklyn bridge and continue all the way back to Pelham Bay since it already has objects and the tracks laid? Yes. Like I said before, route coding in OpenBVE is strictly linear in nature. Once you pass a certain point, you can't go back to it. Is it possible for you guys to create a (4) local from 125 Street to Broccoli Bridge? There will be a 4 train from pelhan bay park to Brooklyn bridge scenario added in the pack. The pack itself will be released very soon. Downloaded and tested this route last night. It's awesome. I love the addition of the animated trains and adding the city hall loop with the ol;d city hall station was a really nice touch. The words of the prophets are written on the subway walls and tenements halls and whispered in the sounds of silence. Learning to code. Please help! Hi, I am getting a black texture when I load the 6 line. I downloaded the dependencies in out it in Desktop>NYCTA 6 OpenBVE> Object, and I am still getting a black texture. Am I doing anything wrong? Please help. Have you made sure that the files are placed like this? And next time, try to post this in a new topic. No wonder that ant gets around so fast! He has his own subway. OIG119 no, but thanks for the advice. It works now! Bad Behavior has blocked 56611 access attempts in the last 7 days.